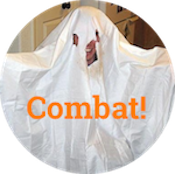 representative democracy Archives - Combat! Nick Gourevitch posted this remarkable line graph on Twitter. It shows the approval rating of the Affordable Care Act over time. Note that we are not asking people about “Obamacare,” which consistently polls worse even though they are the same thing. Don’t think about that, or you will lose faith in broad surveys of public opinion. Instead, look at how unpopular the Affordable Care Act is from pretty much the beginning of Obama’s second term—right up until about six months ago, when it jumps 13 points. As the G-man points out, that’s a big swing in our present climate of hardened opinions. I wonder what could have happened six months ago to make the ACA look so much better to people? If only there were some signal event. Two explanations for this jump leap to mind. Obamacare looks better when you start trying to replace it. Democrats are actively defending Obamacare for the first time in years. I lean toward explanation (2). I have definitely noticed a marked decrease in people yelling about how bad Obamacare is, and that supports explanation (1). Now that the onus is on Republicans to develop a replacement, they are less interested in framing current law as a crisis. You will notice that the House of Representatives did not pass 30-some proposals that would replace Obamacare. They just kept voting to repeal it, because they knew that wouldn’t happen. Now that they control both houses and the Oval Office, they must replace. They are therefore less inclined to present the Affordable Care Act as a national emergency. I think this generally reduced demonization accounts for some of the swing, but the more influential factor is Democrats going out and actively defending the law. When the CBO says millions of Americans would lose their insurance under the Senate health’s care plan, it implies that those people got insurance thanks to the ACA. We’re hearing about those CBO scores from Democratic activists. Meanwhile, the constant viral urgings to call our representatives in Congress also serves to remind us, regularly, that Obamacare did some good. This is the marketing campaign that’s been missing for the last five years. Obamacare went from mostly disliked to mostly liked in six months, because it finally got a full-throated defense. That’s frustrating if you look at it wrong, but it’s not so hard to make it heartening. There’s no doubt in where you start in forming the target list — it will be those 23 districts that switched from [Mitt] Romney to Clinton that look a lot, demographically, like the one in Georgia tonight. This strategy strongly resembles the one that Hillary Clinton pursued in the 2016 election, which she did not win. 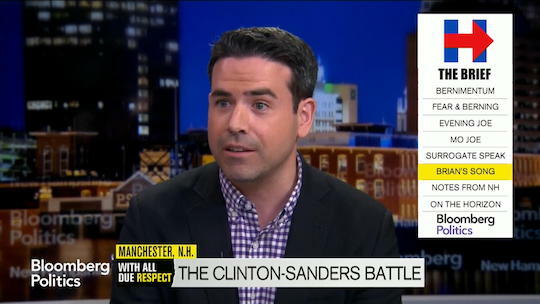 That rumbling sound you hear is Sanders Democrats across the country grinding their teeth. But as the interview progresses, Fallon explains that his remark only described one strategy among many—one he qualifies to the point of utter meaninglessness. It kind of sounds like he has no plan. Fallon’s overall message seems to be that the Democrats should keep doing the same thing they did last year, but win. A tech savvy voter determines the next President of the United States. If Nate Silver is to be believed—and if he is not, pretty much all is lost—FiveThirtyEight blog is running 40,000 election simulations per day. In 50% of those simulations, the candidate who wins Ohio wins the presidency. Silver makes a compelling case that Romney needs Ohio to complete his (editorial opinion alert) baffling comeback; he can get to the White House by other routes, but each is more tortuous than the last. 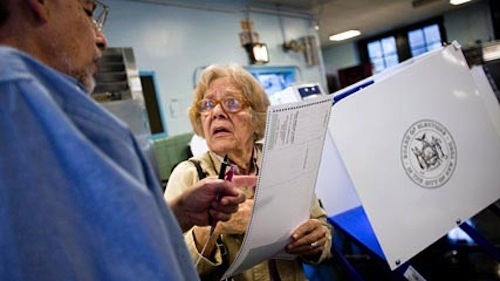 One major provider of electronic voting machines to Ohio is Hart Intercivic. One major investor in Hart Intercivic is HIG Capital, seven of whose directors are former employees of Bain & Co. Four of HIG’s directors are Romney bundlers, and the company has contributed over $300,000 to the Romney campaign. 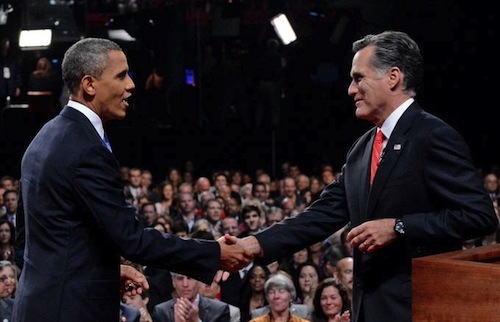 Mitt Romney touches a black person. I watched last night’s debates on PBS, so it’s possible my perception was warped by the atmosphere of measured consideration. I had also just come from yoga and spent the first 20 minutes seeing each candidate as a big turkey leg, but other than that my memory is clear: Barack Obama looked composed if a little sluggish, and Mitt Romney was frantic. He talked over moderator Jim Lehrer and did that breathy puff-laugh he does when he can’t believe people are still asking him questions. Then I watched the post-debate commentary and learned that Romney actually won. Michelle Obama’s speech was almost exactly twice as good as Mitt Romney’s, at least according to Twitter. 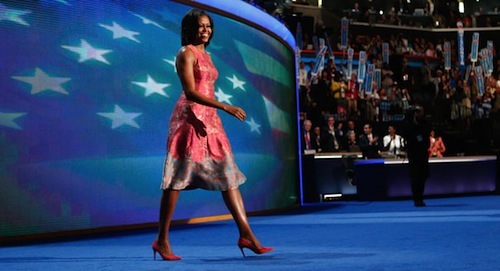 It’s possible that points to a difference in the media habits of people who watch the DNC and the RNC, respectively, but I’m going to say it’s because she was twice as good. Lots of people agree with me, even if Charles Krauthammer issued a formal bah, humbug. “And the brilliance of it is this,” he said: “It drained Obama of any, either, ideological motivation, or any having to do with self-interest or ambition, which I think is sort of a more plausible explanation.” You saw through it, Krauthammer: the president is ambitious.